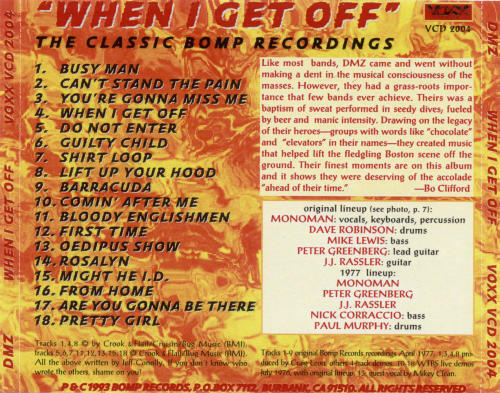 Boston’s late-seventies rock scene exploded after a Big-Bang event — the release of the Live at the Rat double album recorded in September 1976. From the seminal bands on that record and their breeding ground, the Rathskellar club in Kenmore Square, a beachhead was established that would mark Boston as a major source of new music for decades. 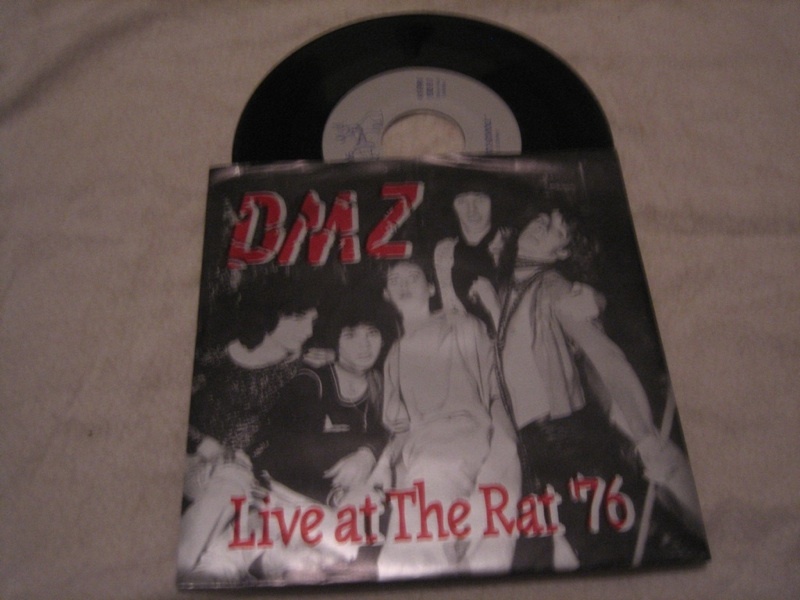 DMZ was one of the first bands out of the gate, weighing in with a pair of tracks on Live at the Ratand quickly releasing a 7” single on California’s Bomp! Record label in ’77. Fronted by the wildly excitable Monoman (A.K.A. Jeff Conolly) on lead vocals and organ, who wrote most of the material based on his love of sixties psychedelic pop combos like the 13th Floor Elevators, Chocolate Watchband, Sonics and the Pretty Things. Indeed, the band would regularly cover music from all those groups, with the Elevators’ “You’re Gonna Miss Me” as a particular standout. Signed by the Warner Brothers imprint label Sire, the band went in the studio with the psycho-pop singing team of Flo and Eddie (the Turtles’ Mark Volman and Howard Kaylan) and emerged with the long-player DMZ in 1978. 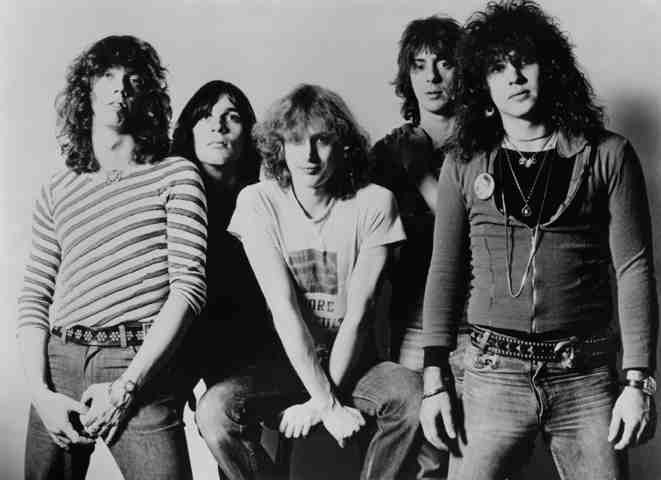 Although songs like “Mighty Idy” and “Out of Our Tree” found local favor, there simply wasn’t much of a market yet for thunderous pop-oriented rock and roll, so the album disappeared and the group blew apart before the end of the year. Monoman went on to front the vastly influential sixties-roots band the Lyres while guitarist Peter Greenberg later found success in Barrence Whitfield and the Savages. 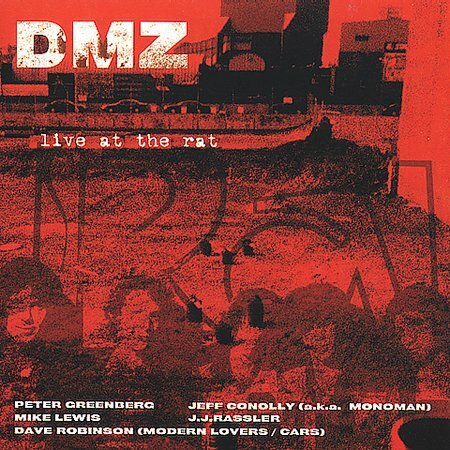 One footnote: drummer David Robinson powered the skins for DMZ until his departure for The Cars in ’77.